Thinking of hopping on board the drone train and want to learn more about different types of drones out there? That’s why today, we’re going to tackle four basic drone classifications and explain what sets them apart from each other. Stick around, and by the end of this article, you’re going to know drones like the back of your hand! ​Unmanned aerial vehicles, or, as you would call them, “drones,” are precisely that – aircraft without an onboard human crew, which can be either remote controlled (RC) or autonomously programmed. While the focus of this article will be on drones built for civilian use and recreational purposes, it wouldn’t hurt to mention some terms that are usually used by the military – because yes, even they recognize the revolutionary concept of aircraft without a flight crew. And while the fact that there are so many different types of drones out there may seem overwhelming to some, the truth is, that’s a good thing. Having a wide variety of options available on the market means you’re bound to find one that fits your needs perfectly – all you need is a little help figuring it out. The list of different drone types is a pretty long one, so instead of throwing a ton of new info your way, we decided to split things up into several different categories. Are you feeling confused yet? Don’t worry; I’ll explain everything in a second! If you ever wanted to own a helicopter, a single-rotor drone is probably the closest you’ll ever get to make that dream a reality without filing for bankruptcy soon after. As the name suggests, these units only feature one fairly large rotor (not counting the small one at the tail, of course), and strongly resemble a real-life helicopter in both their structure and design. And because they’re more efficient at generating thrust than their multi-rotor counterparts, they’re suitable for longer flight times, which can further be increased by using a gas-powered motor. That said, due to their complexity, they tend to cost more than the average drone and require regular mechanical maintenance. With two large rotor blades, there’s a much higher risk of serious injury in case you find yourself on their path or lose control over them – and the fact that they’re not as stable as multi-rotor drones don’t help their case, either. Multi-rotor drones are, by far, the most common types of drones used by both hobbyists and professionals alike – and out of the four main drone types discussed in this category, they are the cheapest option available, too! Although they keep improving, they’re still rather inefficient regarding flight time and speed – most can only stay airborne for around 20 to 30 minutes. The more rotors you add, the less flight time you get. These types of drones use the same principle as airplanes – using wings to generate lift, rather than vertical-thrust-generating rotors. Fixed-wing drones only need energy to keep the forward motion going, while the wings generate vertical lift as they go, which makes them much more efficient at covering longer distances, mapping broad areas, and staying close to their point of interest as long as the energy source allows it. Some models can even be gas powered, which allows them to stay airborne for up to 16 hours at a time! However, they aren’t able to hover in one place, which makes launching and landing quite problematic – only small models can be launched by hand, while also surviving a “belly landing.” Plus, you can pretty much rule them out as a means of taking aerial photos and videos. By bringing together the benefits of fixed-wing drones with the ability to hover seen in rotor-based models, a new type of drones was born – fixed-wing hybrids. The concept was initially tested back in the 60’s – but only the new-gen sensors, such as gyros and accelerometers, managed to breathe new life into the idea. Still, you’ll only find a handful of hybrid models on the market, but be patient – we’re bound to see more of these in the near future. Very Small (Nano/Micro) Drones – They can be as small as large-sized insects, so that they can fit on the top of your finger, but can reach lengths of up to 20 inches in some cases. Due to their size, they’re most suited for beginners and indoor flying. Small Drones – Although they’re more substantial than the previous type, and go above the 20-inch mark, they typically don’t exceed 80 inches in length. They commonly feature a fixed-wing design, although there are a few models available with rotary wings, typically selling from $100., all the way up to $1000. Medium Drones – Th as much as 440 pounds – yes, that much – which means you’ll need an extra set of hands to get them up in the air. Not your typical fun-sized, hobby drone, huh? Large Drones – Unless you’re working for the military, you probably won’t be able to get your hands on one of these drones, since they’re similar in size to a small aircraft, and mostly used for surveillance duties or in place of fighter jets. The drone’s range is determined by how far away it’s capable of flying before the signal breaks, and you lose control over your aircraft, at which point a crash-landing is inevitable. Of course, the bigger the range, the better – but keep in mind that not all of these drone types are available to the general public. Very Close Range – The very-close-range category usually only includes the so-called toy or hobby drones, which have a range of around 3 miles or so, and can stay in the air for about 20 to 45 minutes, depending on the batteries. This is your typical for popular drones like the DJI Phantom Range, which we reviewed here. Close Range – These can fly approximately 30 miles away from the user (a significant improvement compared to very close range drones), and their batteries allow them to stay airborne for up to six hours. Short Range – Being able to stay airborne for approximately 8 to 12 hours, with a maximum range of a little over 90 miles (which gives them an edge over their close-range counterparts), short-range drones are most suitable for spying and surveillance purposes. Mid-Range – These high-speed drones are capable of covering areas of up to 400 miles, which makes them suitable not only for surveillance purposes but for gathering scientific data (especially meteorological data), as well. Endurance – The most notable thing about this type of drones is that they can go beyond the 400-foot threshold, reaching heights of up to 3000 feet, and staying up in the air for hours on end. Unfortunately, though, operating anything other than a very close range drone requires a special license. Depending on the equipment they have built-in or attached to them, they can perform tons of different tasks, too! GPS Drones – These drones link up to satellites via GPS and use that as a means of mapping out the direction of their flight, and automatically returning to their base in case they’re running low on battery power, or they go outside your reach. RTF Drones – Ready-to-fly (RTF) drones are ideal for beginners because they require little to no assembly – all you need to do is charge up the battery, and you're ready to take it for a spin! Trick Drones – Mostly used as toys, these drones are usually only 10 inches long and weigh no more than a few ounces. Their size allows them to pull off lots of different maneuvers, such as barrel rolls and flips, while they’re up in the air. Racing Drones – The name pretty much says it all, doesn’t it? These light and agile drones are stripped of any additional features and excess weight, which allows them to achieve speeds of around 60 miles per hour easily – although it often costs them their range and flying times. Walkera make some very fast racing drones, capable of going as fast as 100 km/h. You can read about the Walkera RC, an FPV racing drone, in our best drones under $300 review. Photography/Video Drones – Simply put, photography/video drones have cameras attached to their body, allowing you to get a bird’s eye view of the world. 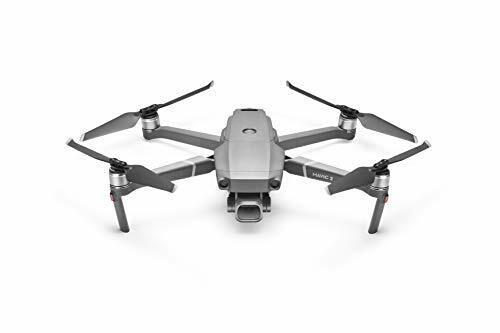 If you’re serious about making breath-taking, high-quality shots, 4K-camera drones are the way to go – they often have precision stabilization, and autonomous flight modes, which allows you to focus on aerial photography. Waterproof/Underwater Drones – While most drones can’t handle getting wet, others will gladly go for a swim – their electronic components are entirely sealed off, so that water can’t reach them. Keep in mind that not every waterproof drone is automatically a fully-submersible unit, though, so choose wisely! Alternative-Powered Drones – It may come as a surprise, but not all drones use batteries – there are types of drones that use alternative power sources, or, rather, fuels, such as gas or nitro fuel, to run. Delivery Drones – To tell you the truth, we can’t wait for the day when our pizza gets delivered by a drone. Right now, they’re relatively limited in terms of weight and size of things they can carry in the basket or anchor attached to their body, but we don’t think it will be long before they’re able to tackle larger packages, as well. Okay, we think that pretty much covers everything – we promised to make you an expert on different types of drones by the end of this article, didn’t we?